The GSM network (Global System for Mobile communications) is the most widespread mobile network in the world. In order to use the GSM network you require an unlocked GSM handset (which is compatible with the local cellular frequency where you will be using it) and a SIM card. GSM phones require a small electronic chip, called a SIM card, to be inserted into a slot in the handset. This SIM card is the “heart” of your phone – it contains your mobile phone number, your phone book, and all of your registration information. 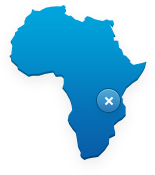 The Mobal GSM SIM card provides you with access to over 320 GSM networks in over 160 countries. 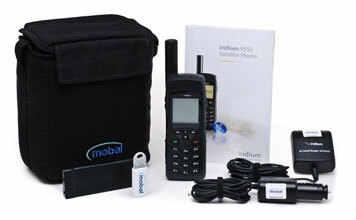 All current GSM handsets should be compatible with the Mobal GSM SIM card. However, you should check with the supplier of your handset that there are no SIM card restriction locks in place. Also, you must check that your GSM handset is of the correct frequency for each of the countries that you intend to visit. 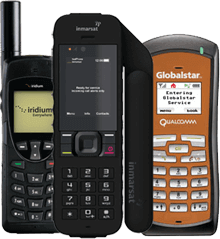 Most of the world’s GSM networks operate at 900MHz and 1800MHz. However, in order to use the networks in the USA and Canada you will need a handset that is also capable of operating at the 1900MHz frequency. Please refer to the Mobal GSM Country List/Call Rates for details. Carefully remove the small SIM “chip” from the plastic card. The method of fitting the SIM card into your GSM handset varies with each manufacturer. It is usually a simple process of inserting the card into a slot on the back of the handset, often under the battery. Please refer to your handset’s user guide for details. To access your Voicemail messages please dial 901 from your Mobal phone. 17 thoughts on "User guide for Mobal’s World Phone and World SIM"
My mobal sim won’t connect in Nigeria and I have no phone to call the help line. particularly the relationship between where you are physically and where the phone appears to be. compile an online reference file with the answers to many of these questions and make it accessible to your clients. on your website would go a long way to improving the user experience. Just a thought. These pages will continue to develop and will hopefully become a really useful resource for customers to find everything they need to know about using their Mobal Phone. In here, you can download user guides, get information on calling & texting, and get lots of tips and tricks on how to best use your SIM/phone. We understand that when customers are using their phones, they need access to user information right away – and don’t want to have to call – or wait for a response to an email. We hope that these support pages will prove a really useful resource for customers to be able to help themselves to all of the information they need. Thank you again for your feedback – we hope you may find the support pages really useful. Please do continue to let us know if there is anything you feel would improve your user experience further. I will be traveling to Mexico next week, first timer user of my mobal phone. My sister lives in San Miguel de Allende north of Mex City. Thank you for your comments – please see our handy guide on how to dial from your Mobal Phone https://support.mobal.com/world3/user-guide-downloads/dialing-and-country-codes/you can download this guide for future reference. To call a US registered phone you would dial + 1 followed by the number without the 0. Many thanks. Does your phone system work from India to the US? If so what are the charges? How do I find this information on your website? Hi Sue, Yes the Mobal World Phone will work from India to the US. Calls are priced at $3.95/minute from India to the US. Please my world sim is not receiving text Massage for the pass one year, please what will i do to get it solve. Could you please contact the support team on +1 212 785 5800 or support@mobal.com and let them know your account number or World SIM phone number and they should be able to help sort this issue out. my “Mobal World SIM User Guide is ilegible. the blue print is faeded. need legible copy. James, give the support team a call on +1 212 785 5800. They will be able to issue you with a new copy.